Madonna Good Genes Or Good Docs? Madonna's good looks didn't require a prayer! 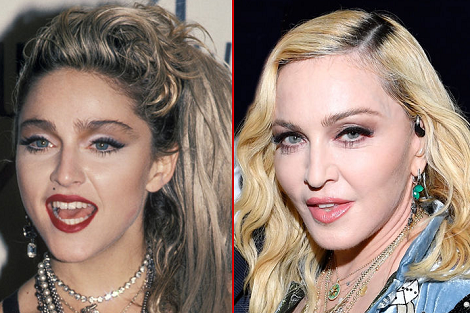 Here’s a 27-year-old version of the Material Girl at the American Music Awards back in 1985 (left) and 32 years later the 59-year-old Queen of Pop and mother of six at a party in France last month (right).